The year 2018 has been a highly productive one for the Georgian Embassy in Seoul. It marked the centennial anniversary of Georgia’s declaration of independence on May 26, 1918, highlighted by a series of partnership events with Korean institutions and businesses from diplomacy, trade and investments in food, tourism, culture, sports and education. 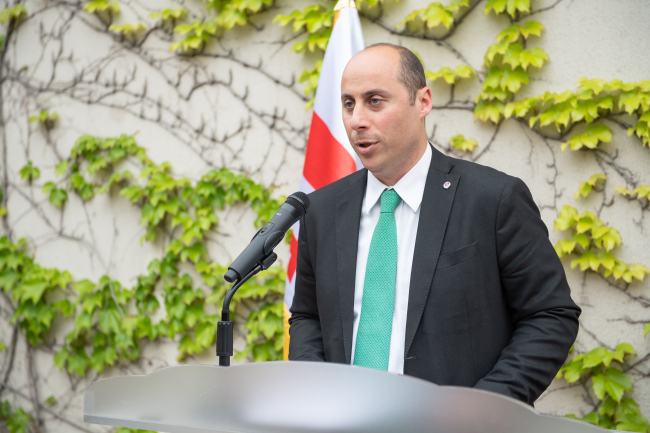 Georgian Ambassador to Korea Otar Berdzenishvili felt that Tbilisi and Seoul had a year full of collaboration and exchange, laying the foundation for future cooperation and synergy. 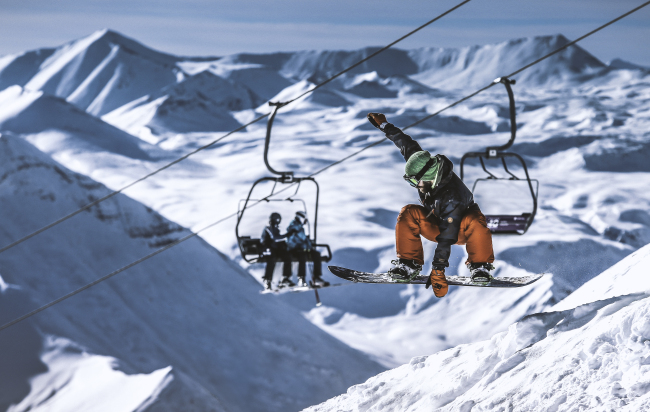 “Tourism is a fast-growing sector of the Georgian economy offering ample investment opportunities, particularly at its seaside, mountain and alpine ski resorts,” Berdzenishvili told The Korea Herald. “Georgia offers unique biodiversity from its subtropical marshlands, semideserts, alpine zones and snow-capped mountains, all within several hundred kilometers from each other. We also have over 12,000 historical and cultural monuments, including four UNESCO World Heritage sites, as well as 103 resorts, 2,400 mineral water springs, eight national parks and 31 protected areas,” he added. According to the diplomatic mission, the number of international tourists to Georgia is expected to reach 9 million this year, an 11 percent on-year increase, which includes a rising number of Koreans. On Feb. 22, the embassy, working in collaboration with Hanjin Travel, organized a seminar highlighting Georgian tourism in Seoul in front of some 100 local tour agency representatives. Hanjin Travel launched tourism packages to Georgia for Koreans this year. The diplomatic mission also participated in the Korea World Travel Fair -- Asia’s largest international tourism conference -- in Seoul from June 14-17, partnering with the Georgian National Tourism Administration and Georgian tourism companies. This year’s event featured Georgian ethnography and culture as well as various products, including Georgian wine, mineral water, vodka, grape porridge, alpine honey, juice, condiments, tea, chocolate, leather goods and clothes. The World Bank’s Ease of Doing Business report for 2019 ranked Georgia as No. 6 out of 190 countries, and the World Economic Forum’s report on the world’s lowest tax rates this year put Georgia in the eighth spot. The envoy turned attention to Tbilisi’s steady and sturdy reform efforts as part of the Association Agreement signed with the European Union. As a result of the Deep and Comprehensive Free Trade Area agreement between Tbilisi and Brussels, the EU remains the main trading partner of Georgia, according to the embassy. To strengthen bilateral science and technology collaboration, a delegation representing the Georgian Innovation and Technology Agency visited Korea in January with the assistance of the Georgian Embassy. The representatives held meetings with officials from the Korean Ministry of Science, ICT and Future Planning, and signed a memorandum of understanding with the Korea Technopark Association for joint future research of innovative technologies. During the PyeongChang Winter Games in Gangwon Province in February, a Georgian team of athletes and sports official came to Korea, including the President of the Georgian National Olympic Committee Leri Khabelovi and Minister of Culture and Sports Mikheil Giorgadze, accompanied by Ambassador Otar Berdzenishvili. Georgia also participated in the PyeongChang Paralympics in March following the winter Olympics. Berdzenishvili visited Gwangju in April, where he held meetings with local government officials, and gave a lecture on Georgia’s 100th anniversary and the state of bilateral relations at Chonnam National University. He also spoke about the centenary at various high schools here. May 15 was dedicated to an official reception in Seoul celebrating the 100th anniversary of Georgian independence, and on May 26, the Seoul city government building was lit up with the red and white colors of the Georgian national flag. 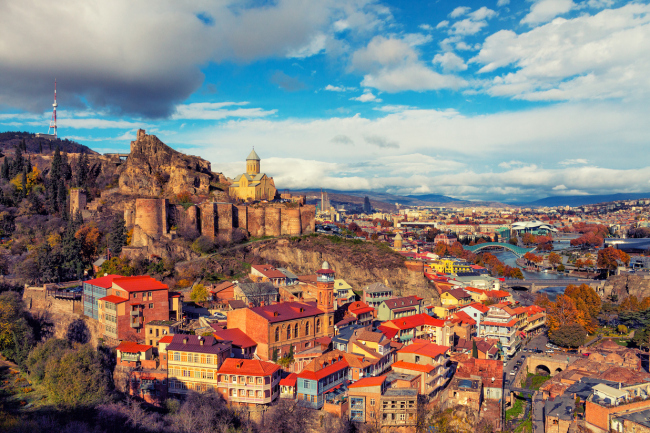 The maiden direct charter flight between Incheon and Tbilisi flew on May 17, followed by additional flights on May 24 and May 31. In July, the Korean government started issuing multiple-entry visas to citizens of Georgia, Belarus and Ukraine -- target countries of President Moon Jae-in’s New Northern Policy. The embassy took part in the Imported Goods Fair 2018 in Seoul in June, showcasing various food products and alcoholic and traditional beverages, as well as the International Fermented Food Expo 2018 in October in Jeonju. As part of the centenary, the embassy and Yonsei University in Seoul jointly organized a seminar on the Georgian alphabet, during which Vice Rector of the Ilia State University Nino Doborjginidze gave a presentation. With the proposal of the embassy, the Hankuk University of Foreign Studies in Seoul started offering a Georgian language course education from September. The course is taught by a Georgian citizen residing here, Otar Berejiani, who received the honorary Seoul citizenship for enhancing bilateral cultural and educational ties. In promoting their cultures as part of the 100th anniversary here, the Georgian Embassy worked with the embassies of Azerbaijan and Ukraine to organize a series of musical events throughout the year. On Sept. 7, the Georgian Folk Song and Dance State Academic Ensemble, Rustavi, gave a performance in front of a large crowd at the Culture and Arts Center in Seoul, and on Oct. 5, Georgian mezzo-soprano Tamta Tarieli showed off her musical prowess at the World Opera Festival at the glamorous Lotte Concert Hall in Seoul. During the Seoul International Writer’s Festival in October, Georgian novelist Nino Sadgobelashvili showcased her works along with writers from 15 countries. The event was organized by the Literature Translation Institute of Korea, which translated 10 Georgian contemporary novels into Korean, and sponsored by the Ministry of Culture, Sports and Tourism and Seoul Foundation for Arts and Culture. On Nov. 12, the embassy jointly organized an academic roundtable discussion, “The Rule-based International Order,” at Korea’s leading think tank, Asan Institute for Policy Studies, in Seoul. Heads of European diplomatic missions to Korea took part in the event and discussed regional and international security issues, including the 2008 Russo-Georgian War and its aftermath and the ongoing Russian occupation of Georgian territories. Critically acclaimed Georgian film “Pirosmani” was screened here in December, hosted in cooperation of the Korea Foundation, a public diplomacy institution under the Ministry of Foreign Affairs.